Hi there everyone! It's time for another new Creative Cafe' KOTM!!! This kit is a harvest of inspiration and goodies, that's why it's Farm Fresh!! 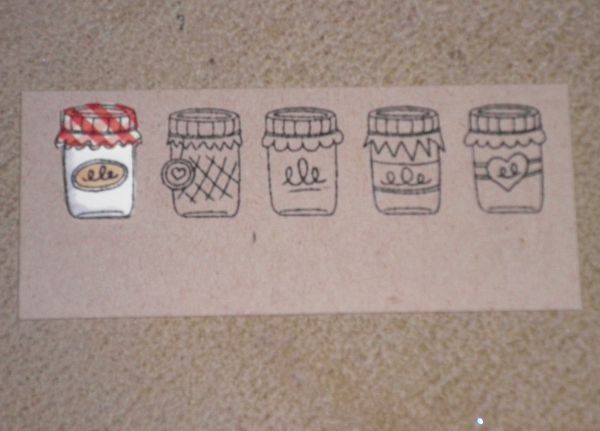 Next Layer: 4&1/2" by 3&1/4" canning jar patterned paper, matted on 4&3/4" by 3&1/2" piece of white cardstock. Tie a bow around this piece using red seam binding, then foam tape to gingham layer. 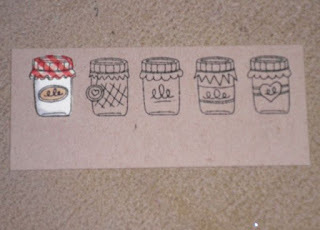 Stamp the jelly jar row on white cardstock, and color with markers. Add a thin layer of Scrap Happy Glue to the hearts on the two jars (I used a toothpick for extra fine control), let dry--it stays a little tacky so then you can add red You're So Fine glitter (from your kit!!) and rub and buff in. 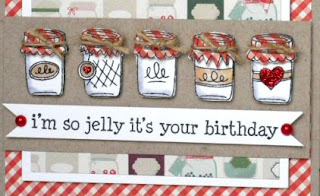 Fussy cut out all the jelly jars. 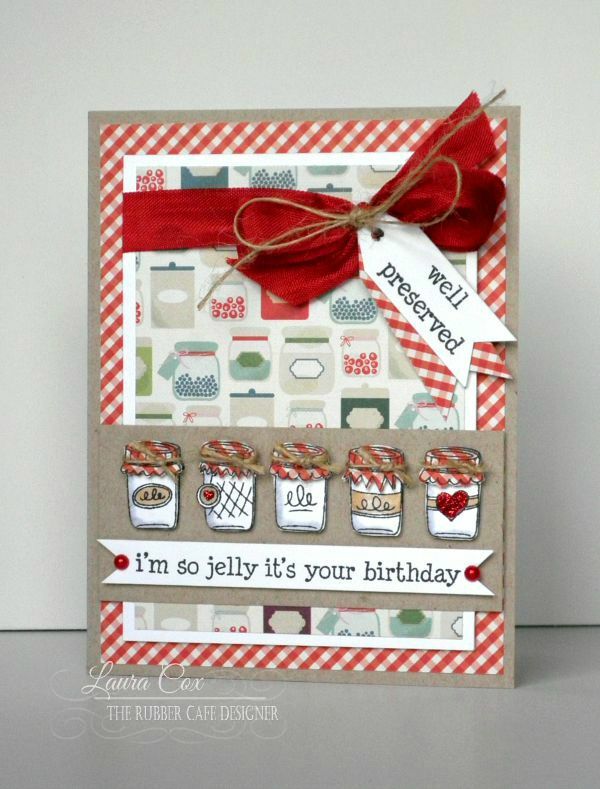 Stamp the jelly jar row (just the lid portion) onto the red gingham patterned paper, and fussy cut out each lid. Use foam tape to add the lid to the previously cut out jars. Stamp sentiment in Black Tuxedo Memento Ink on white cardstock, trim to a banner. Then tie a piece of hemp fiber around the top of each jar....tie in a knot. Add the sentiment with foam tape under the jelly jar row, and add pearls and use Scrap Happy Glue and foam tape to attach to the card. To finish, stamp the well preserved sentiment on white cardstock, trim into a banner. Also trim a piece of the red gingham to a banner (is about 2" long by 3/4" wide), punch a hole in the top, and add to the red bow with a piece of hemp fiber. 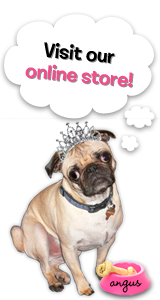 Thanks for stoppin' by today.....and remember to stop back soon.....we have a lot of inspiration ready for you with this fun, fresh new kit!